It is undeniable that music can be a powerful force in tearing down cultural curtains, promoting social justice and empowering the kind of social transformation that we saw inspired by Louis Armstrong to Elvis to Sammy Davis Jr., from Nina Simone to Bob Dylan to Disco to the positive elements of Hip Hop. It is music that penetrates the core, a portal to see and feel beyond the segregated neighborhoods, schools and boardrooms that stifle social progress and understanding. Because before there was the image or the word, there was the sound of nature, rhythm and voices that shape the essence of our evolving stories, shared victories and intersecting sorrows. And what many working musicians in this country have in common with each other and the nation in general is a love of black music — blues, gospel, jazz, funk, soul and house, the few places where integration and cross-cultural interactions occur in the off hours of the day. It is venues like The Groove on West 3rd in the Village in New York or The Blue Rooster in Sarasota or The Room in L.A., where the music and musicians become healers, conduits and mirrors, picking up where lawmakers, civil rights leaders and social activists leave off. This is why, as a multi-media artist after recoloring, hanging, burning and burying the Confederate flag over the last 15 years, I needed to confront the song “Dixie,” and I knew I would need to enlist the musical troops to help create an impactful statement. “Dixie” copyrighted in 1859 to Daniel Decatur Emmett, a Yankee, is one of America’s most popular songs and the de facto anthem of the Confederacy. 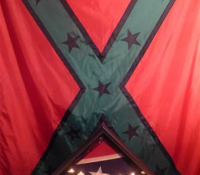 Like the Confederate flag, “Dixie” is complicated — to some it is racist and to others it’s about Southern heritage. The Dixie post musical experience could easily become like Nicki Minaj’s Truffle Butter in that once you finally figure out the song’s true meaning you are shocked. But as a song born on the minstrel stages of the north to gain untold celebrity about a slave pining away about the good ol’ South, plantation life and a missed lover seems more appropriate for a Stephen King movie than a call to Southern Pride and state rights. While it’s not my impulse to erase this curious tune — completely, I am drawn to re-image it through the speakerphone of black music, to make the point that the African-American experience is central to any notion of Southern heritage. And while black culture has been traded, stolen, borrowed and reformed in both magical and pathological ways, I am delighted to return the favor subversively via remixing, remapping and cross-appropriation. 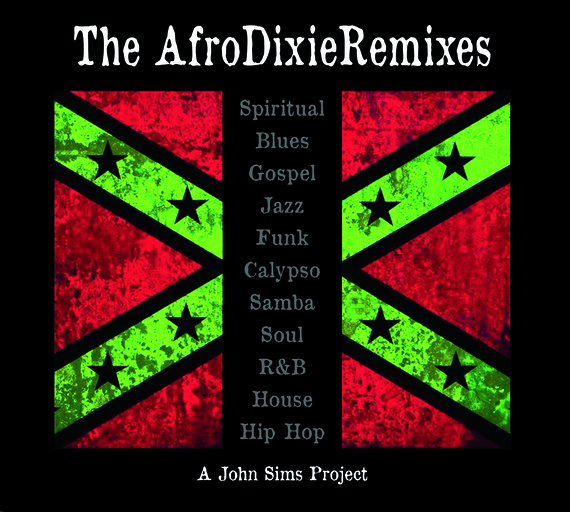 While Dixie might not be currently on the pop charts, it is still on the playlist of the hearts and mindset of many Americans, North and South, indicating that though black music may matter, black lives may not. So while we celebrate Jazz at Lincoln Center, Hip Hop at the Grammys or Gospel brunching at Lips Atlanta, let us not only forget about the black male mass incarceration, police brutality, Ferguson, Baltimore, Charleston, the Trayvon Martins, Mike Browns, Freddie Grays, Eric Garners, Sandra Blands and now the musician Corey Jones, but do something. 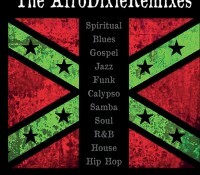 And so it was in Sarasota that I found a talented diverse group of musicians over the last 13 years to create “The AfroDixieRemixes,” a dynamic collection of “Dixie” reborn in the key of black music to engage the complexity of race, identity and cultural appropriation, in the context of Confederate iconography and the African American culture. 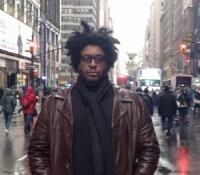 But the real aim was to creatively confront racist elements of culture right in front of us. For if you cannot change what is visible and palatable to you, how can you change what is complex and abstract and psychological? So, I am convinced once you listen to this music, you’ll never hear or feel “Dixie” the same way again, thanks to these incredible musicians. But remixing music is easier than remaking souls. And cops killing black men is easier than America killing Dixie — a song that has become the soundtrack for a false sense of comfort, security and supremacy. So on the sunset of the 150th Anniversary of the Civil War, we, the creative class, black, white and brown — the artists and musicians must step up in unity and collaboration and lead the way through this very dark moment of haunted dreams, lives denied and Dixie ghosts of a remixed future.